Top Line: The 2019 Acura ILX gets a fresh front end and standard safety tech that's bound to make it more appealing than its segment rivals. 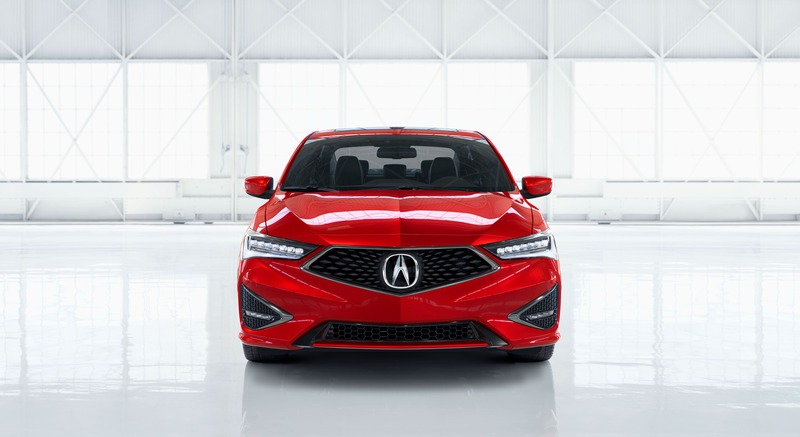 What's New: A sleek new exterior features Acura's signature diamond pentagon grille bordered by LED headlights and a more sharply sculpted hood. The new design brings the ILX up to date with the brand's current design language. There are two all-new wheel designs for 2019, a 17-inch split five-spoke wheel with trim specific finishes and an A-Spec exclusive 18-inch wheel. 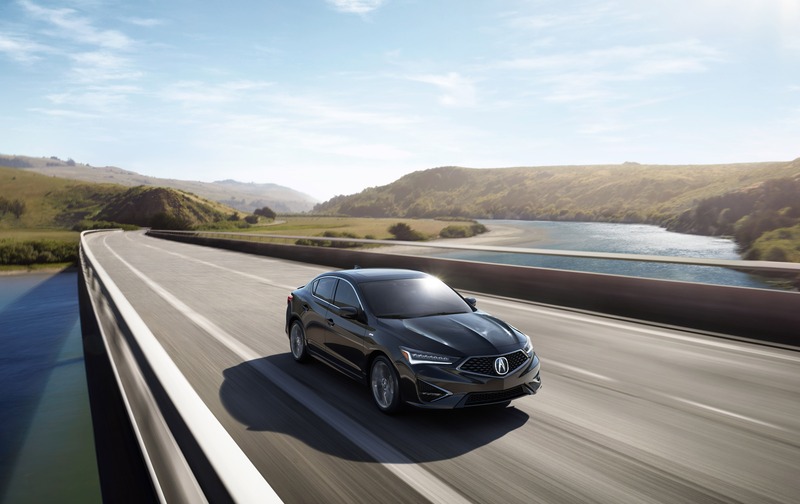 For 2019, the refreshed ILX will include AcuraWatch as a standard safety feature, which includes collision mitigation braking, forward collision warning, lane keep assist, adaptive cruise control, and road departure mitigation with lane departure warning. This new addition makes Acura the first luxury brand to have this suite of safety aids standard across its entire lineup. Rear of Acura ILX A-Spec. 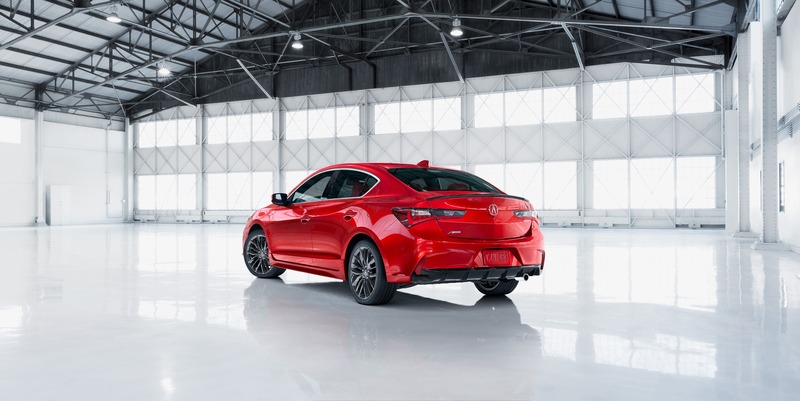 The ILX will come with only one engine and transmission option: a 2.4-liter I-4 that produces 201 horsepower and pairs with an eight-speed dual-clutch transmission. When asked about the possibility of the 1.5-liter turbo from its Honda sibling, the Civic Si, being offered in the ILX, Acura declined to comment. Inside, the infotainment system has been updated to a more responsive dual-screen unit which features updated graphics, Apple CarPlay and Android Auto. The front seats have been reshaped and restyled to be sportier and are available with contrast stitching and piping. Three interior colors will be available: Graystone, Ebony, and new for 2019; Espresso. The exterior color palette expands with five new colors, Platinum White Pearl, Majestic Black Pearl, Performance Red Pearl, Canyon Bronze Metallic and A-Spec exclusive Apex Blue Pearl. The current colors, Lunar Silver Metallic and Modern Steel Metallic will still be available. The ILX also receives the A-Spec treatment in 2019, and with it comes two exclusive interior options, ebony or red leather with black suede inserts and high contrast stitching. Also included with the A-Spec are several interior enhancements such as a graphite silver dash accent with chrome insert, an A-Spec badged steering wheel and aluminum sports pedals. On the exterior, the 2019 ILX A-Spec features dark chrome trim for the front grille and lower fascia, LED fog lights, and a gloss-black decklid spoiler. The A-Spec models also feature 18-inch wheels with an aggressive new design and a Shark Gray finish. 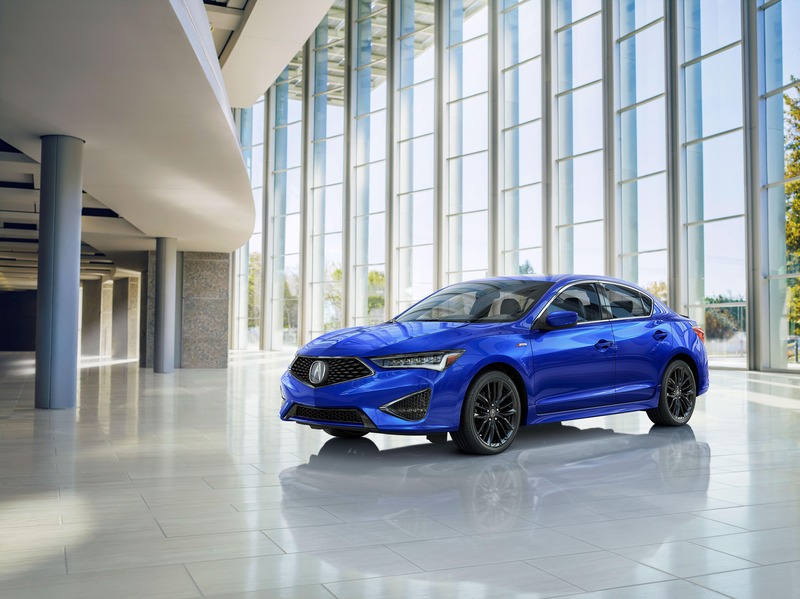 Quotable: "Acura ILX serves a unique and important role as the gateway vehicle to the Acura brand, bringing in the most first-time Acura customers and youngest buyers," read a statement released by Acura. "ILX also remains a top choice in the entry luxury segment, gaining more than four points of retail market share in the first half of the year and capturing the highest percentage of millennials of any model in segment, something it has done every year since 2013." 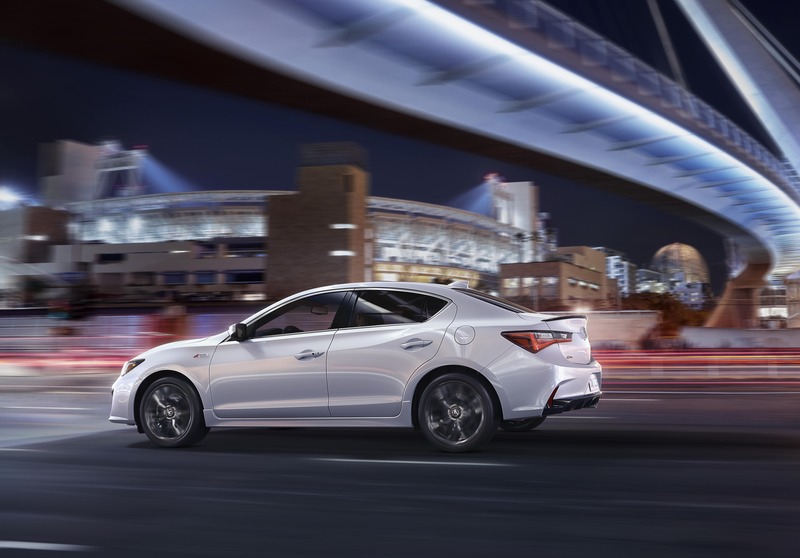 What You Need to Know: The ILX is Acura's entry-level compact luxury sedan and the 2019 model will be available in dealers nationwide in October. An Acura spokesperson told The Drive that pricing information will be released closer to the launch.